Electricity is a charged subject that often shocks those who don’t realize how important compliance is. Just look at all the illegal electrical connections looming over informal settlements. Notice people on social media asking who can do electrical jobs cheaply. Do they even realize that only qualified, registered electricians are permitted (by law) to work on electrical systems? Unfortunately you pay for what you get, and while reasonably priced is something we all aspire to, “cheap” should not be the primary choice factor for anything relating to electricity. And it’s not just about power (or energy). In South Africa home security is a burgeoning industry, with consumers doing everything possible to safeguard their homes, moveable property inside their houses – and themselves. Methods used include burglar bars, burglar alarm systems, and increasingly, electric fencing. The laws governing electric fencing, together with various local authority bylaws are very specific and include the way they operate as well as where they are positioned. Yet if you start to look around, you will find that many electric fences look plain dodgy – and chances are many of them are. 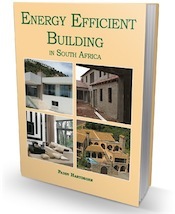 Even though electrical installations are not covered by the National Building Regulations (SANS 10400), electrical systems must be installed according to South African National Standards (SANS) and they must comply with all other national regulations. Only registered electricians may wire our homes and business premises (as per SANS 10142 The Wiring of Premises), and only registered electric fence installers are allowed to install electrified fencing. At face value it all seems pretty simple. But the problem is that it’s actually all a bit of a minefield, particularly since the new electric fencing regulations became law following the update of the Electrical Machinery Regulations in 2011. A primary issue propelling this potentially volatile situation stems from the fact that electric fencing around the perimeter of both domestic and business has become a very popular option that is often used together with other security measures. It acts as a deterrent to potential thieves and intruders, and provides an additional safety layer, adding a little extra peace of mind. No contest! But because there is a general lack of understanding in terms of laws and compliance, consumers can easily be mislead by fly-by-night operators. So first let’s understand what an electric fence system is. One very important element of electric fences is that nobody should be able to make “inadvertent contact” with it. So, for instance, if the electric fencing is freestanding, there must also be a barrier fence that is at least 1,5 m high. Generally if the fence is installed on top of a wall, it must be at least 1,5 m above ground level (where people would walk), and brackets holding the fencing should not be more than 3 m apart. It is mandatory to display multiple warning signs (black on yellow with the symbol of a hand touching a wire that indicates flashes). These signs must be clearly visible and positioned between 1.5 and 2 m from the ground. Local bylaws may be stricter than the regulations quoted above. For instance the City of Cape Town requires that they are at least 1,8 m above the natural level of the ground, and the municipality only allows freestanding electric fencing if it is stepped back at least one metre from the boundary. Otherwise it should be installed on top of walls or fencing. According to the South African Police Services crime statistics for 2015, on average more than 750 homes were directly affected by crime in the form of robberies and burglaries at residential premises every day last year (2015). So can people be blamed for doing what they do … or what they don’t do when it comes to compliance regarding electric fencing? Perhaps not: but if you don’t have a certificate of compliance (COC) for electrical fencing you could find yourself in trouble. Apart from anything else, you won’t be able to sell the house without a valid COC. Most consumers know that a certificate of compliance (COC) is required for a new electrical installation, for example when a new house is built, and that this must be replaced if the installation is altered. But many consumers still do not realize how the strict laws and regulations that relate to the installation of electric fencing can impact on them. For instance, since the new electric fence laws came into affect, every fence erected must have an Electrical Fence System COC issued by a qualified and registered installer. If you don’t have a COC and there’s an electrical fault with the fence that causes a fire, you are very unlikely to be covered by insurance. There is a very good reason for the authorities requiring certificates of compliance (COC) for electrical installations and electric fencing. And even though electric fencing is regarded as an electrical installation (see below), if you have an electric fence, you will need two COCs. In terms of the Occupational Health and Safety Act’s Electrical Installation Regulations, homeowners must obtain a COC for all new electrical installations after October 23, 2009. The COC identifies the building where the electricity has been installed as well as the registered electrician who inspected and tested the installation, and gives this person’s contact details. The electrical contractor also has to sign a declaration on the COC confirming that the installation was done in accordance with the requirements of the Act. If there are any changes made to the electrical installation, a new COC must be obtained. If the COC is older than two years, before the house can be sold a totally new COC will be required. COCs cannot be amended – a new certificate must be issued. Interestingly, once the COC has been issued, it is the responsibility of the “user or lessor” (who is usually the owner) of the electrical installation to ensure it is safe and properly maintained. Furthermore, “electrical installation” refers to any “machinery” that transmits electricity on the property, including electric fencing. The people who design and manufacture, sell, install or use electric fences after 1988. Compliance with the relevant South African National Standard (SANS) for electric fence energizers, as well as their accreditation. Electric fence system certificates of compliance. While it is mandatory to have a COC, it is transferable in the event of the property being sold. Old electric fence systems that existed prior to March 25 2011 do not require a COC unless there have been additions or alterations to the system, or there was a change of ownership of the property after October 1, 2012. There are currently more than 800 electric fence installers registered with the Department of Labour. Of these, 114 are members of the South African Electric Fence Installers Association (SAEFIA). Note that the legislation does not require electric fence system installers to be registered electricians, so chances are you won’t be able to get both COCs from one person. Hi I am installing an electric fence tomorrow on my property which is in length 7 vibracrete slabs long next to an empty plot, do I need both COC’s. or just a certificate of compliance, cost is R600 extra for this coc. A COC = a certificate of compliance! You should already have a COC for the electrical installation for your house. Now you need the COC for the electric fencing. This must be provider by the installer who must be registered. Our Company electric fence was built and handed over before 1 October 2012. Since then, several changes was effected, also new communication method. Such changes require a new COC. In order to obtain this new COC, do I have to “Jack Up” the fence to the present standard??? What about the Retrofitting of old fencing that were installed before the 2009 regulations ? Is one compelled to do this retrofit ? As long as they comply with the old 1988 regulations old electric fences need to be replaced. And if they comply, there is no reason why they shouldn’t qualify for a COC. The article we originally posted on the new electric fencing law will give you further information. Electric Fences Rules & Regulations Is This Electric Fence Legal and Compliant?